A new museum recollects the memories of the recent Chilean political history. In 2009 the Chilean government decided to found El Museo de la Memoria y Los Derechos Humanos ("Museum of Memory and Human Rights") to recollect the memories of the desaparecidos under the Pinochet regime. Located in Santiago del Chile, the museum retraces back the history of the Pinochet dictatorship, all the way from its origins (with the military coup of September 11, 1973, when former president Salvador Allende was killed and Augusto Pinochet rose to power) through to its modern implications: an important and essential step to take, in order to reveal and recount a mournful and dark period of time, that still haunts the country. Consequently, during the competition, it was asked to the architects to consider this place as a non-linear character in time, nor just the incorporation of images from part of the history of Chile, but, rather, a space that could shelter and transmit knowledge in an universal way. The monumental glass, metal and wood building, a slenderly rectangular parallelepiped, is in fact set in an East-West direction, a choice of strong semantic sense: "it lets life flow from the mountain range to the sea of our thin country, always keeping in mind the path of our own sunshine", says the architects. The building was designed to create an urban microspace: the Bar and Base, that constitute the essential structure of the museum, configure a new public space, so that the Museum can be seen as a new landmark of the city, more than just an indispensable tribute to the history. The video filmed by Eduardo Guiloff captures the delicate use of lights made by Mario Figueroa, Lucas Fehr and Carlos Dias and help us in the understanding of the role of this building in the city. Chilean videomaker and architect, Eduardo Guiloff expresses in this video his reflection on the relationship between building and emotions: "what is architecture?" - he asks - "is it just a combination of elements that creates a building?". Being the first architects in his family, Eduardo struggled in communicating what architecture meant to him: "I consider myself a very sentimental person and my family never really understood what architecture meant to me, because I always talks more about feelings, than construction work. That's because, every time I walk into a building, I am overwhelmed by emotions. 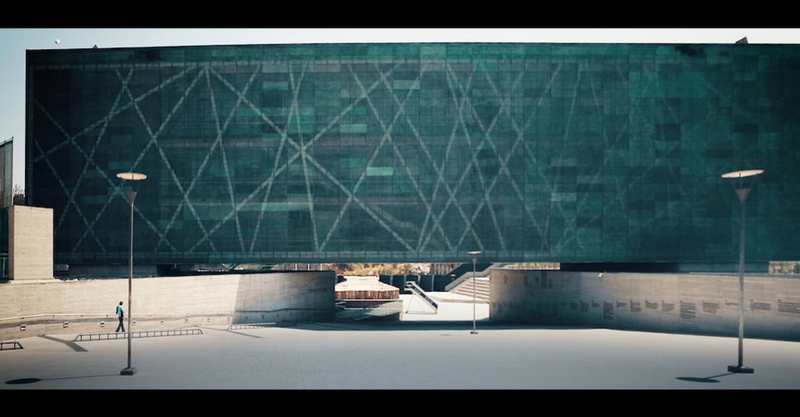 For this video, I've asked myself what the building means to me". He wanted to express not just the structure of the building, the delicate use of light interacting with the glass and steel cage, the way it creates an urban space crossed by pedestrians - all things that could be easily detected in the short film; what really prompted Guiloff's research is how a space interacts with its subject. For this extent, he curated with great attention the use of music, as to create a slow and steady rhythm that could transmit the atmosphere of the museum: we see the entrance of the majestic museum, a wall covered in pictures of the desaparecidos, the peculiar way in which the architects used the internal volumes, but it's no more than a glimpse of the three floors of exhibited material. "This museum is of the memory and the human rights, dedicated to all those who lost their lives in a delicate time for Chile. The idea of the film is not about the content, is about how this architecture wraps up the content".